Johnston Canyon is one of Alberta’s many gems. 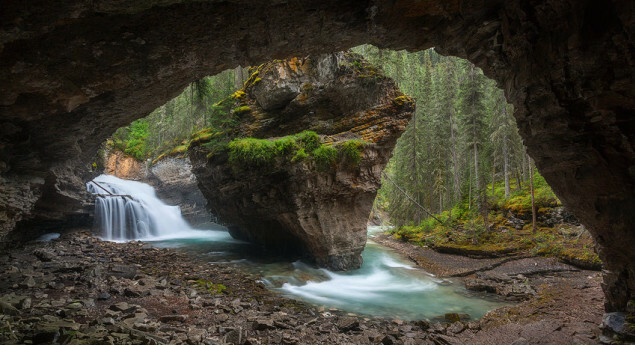 Located just outside of Banff National Park, the flowing rivers and gorgeous waterfall hike is a quick 3.4 miles roundtrip. To get to Johnston Canyon, simply follow the Bow Valley Parkway west to Johnston Canyon for about 11 miles. You’ll find the parking lot on the east side where you’ll then follow the footbridge to the trailhead. The trail begins immediately past the lodge with a gradual ascent. Text Credit: Site description from The Outbound, used under a Creative Commons Attribution-ShareAlike License. Pourquoi ce site este est elle conservé ?